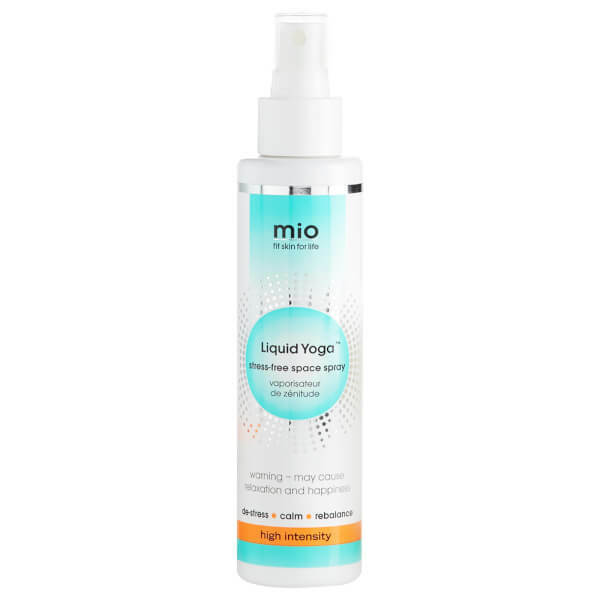 Relieve feelings of stress and anxiety with Mio Skincare's Liquid Yoga Space Spray; high intensity bodycare in a bottle. This essential oil-infused mist promotes a calming, stress-relieving experience. Enhancing positive emotions with a complex of Cypress and Lemon, the spray will show anxiety and nervous fatigue the door whilst uplifting the spirit, boosting self-esteem and promoting true well-being. Spritz onto your pulse points, your pillow or simply in the air. Free from parabens, petrolatum and colourants. Safety tested. Avoid eyes. For external use only. Not tested on animals. I LOVE this so much, I even bought an extra one to keep in my car for whenever I've had a stressful day or stuck in traffic etc. The other one lives on my bedside table for spraying on my pillow before bed! instant relaxation in a spray bottle. It does not get any better than this.